Hey guys! 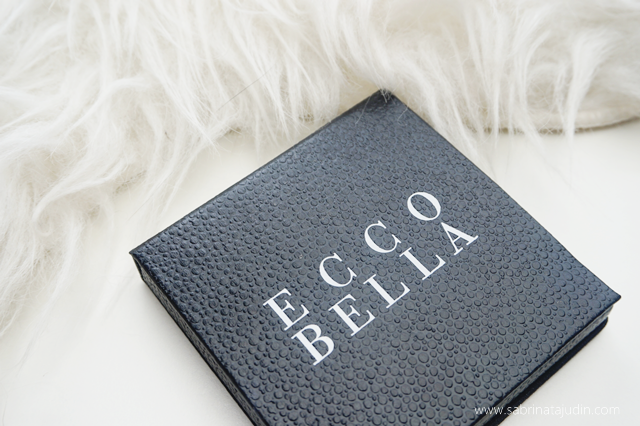 Today i will be sharing you a powder that I have been using for the past week. It a something different for me because I think I haven't tried any organic powder before. I also been introduce to a brand that sells organic makeup items. Pretty interesting to me as I find that us Malaysia people love anything natural and organic right. It is a talc-free finishing powder with flower wax-coated pigments. Maybe that is why it is called Flower Color. 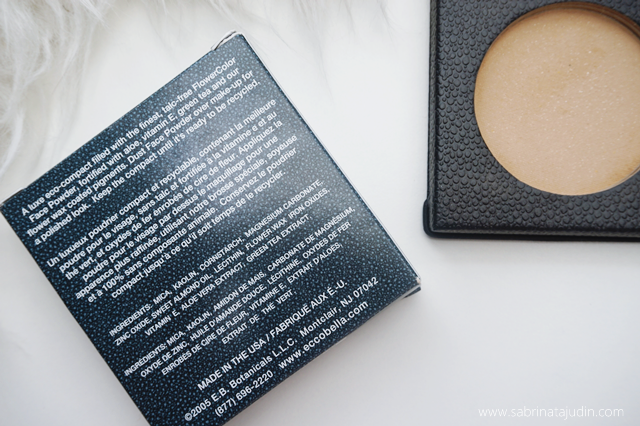 It provides light to medium coverage in a flawless finish. It's also said that for extra skin care benefits, this powder contains green tea extract, flower waxes, aloe vera and vitamin E. It is packaged in a recyclable paper compact with a mirror and puff. What I like about it. I love how the packaging looks. Personally cardboard packaging is really cool and I find it is more durable. It reminds me of the Tarte powder packaging too. I love the light and seamless finish it game on to my skin. The shade Light really suits me well. I find that this works great to be worn alone with some concealer application before. It does not have any weird smells or so. I also love the fact that this powder contains lots of natural ingredient in it. Chemical guilt free! What I don't like about it. I may not like the puff. I don't really use the puff that much as I find that it takes to much of the product out. I use my favourite Powder brush to apply this powder. Overall & Recommendations. I recommend this powder if you have oily skin or combo. It leaves your skin matte for quite a few hours. Reapplication also does not caked up even if you reapply on top of it if it tends to face. Color availability Pale, Light & Medium. Mine is in Light. 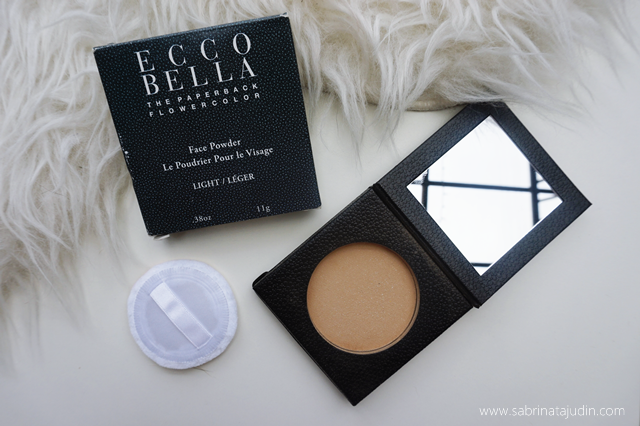 A great organic powder and brand you can look forward to try out! It's Vegan, Talc free, fragrance free and paraben free. This brand is not available locally but you can get it from this Insta shop : www.instagram.com/cardigan_at_thea . Contact the seller and she more than happy to assist you. Ingredients Highlight : Organic Ingridient - Mica, kaolin, cornstarch, magnesium carbonate, zinc oxide, sweet almond oil, lecithin, flower wax iron oxides, vitamin E, aloe vera extract, green tea extract. selalu time balik keje bila ada masa tgk cermin. hehe. selalu after 3-4 hours kalau berjemur outdoor rasa berminyak. tp so far xde rasa tak selesa, just nampak fade sikit je. Suka nya...soalan noob skit....yg ni kan powder je eh...boleh pkai wet x??? 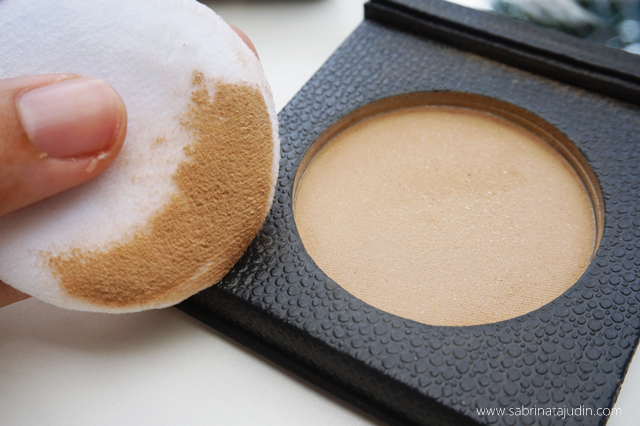 hm.. sab xpernah try wet method dgn powder ni. sbb tak suka nanti powder jadi keras. xsure dia. tp powder ni agak "creamy" and smooth. rasa ok kot ntuk campur dgn air. Thanks. Reallay appreciate your review on this. Have been looking for paraben free powder.